To provide a no-cost, one-week wilderness and environmental eduation experience for eight low-income 12-to-14-year-old Trinity-Shasta County young people. 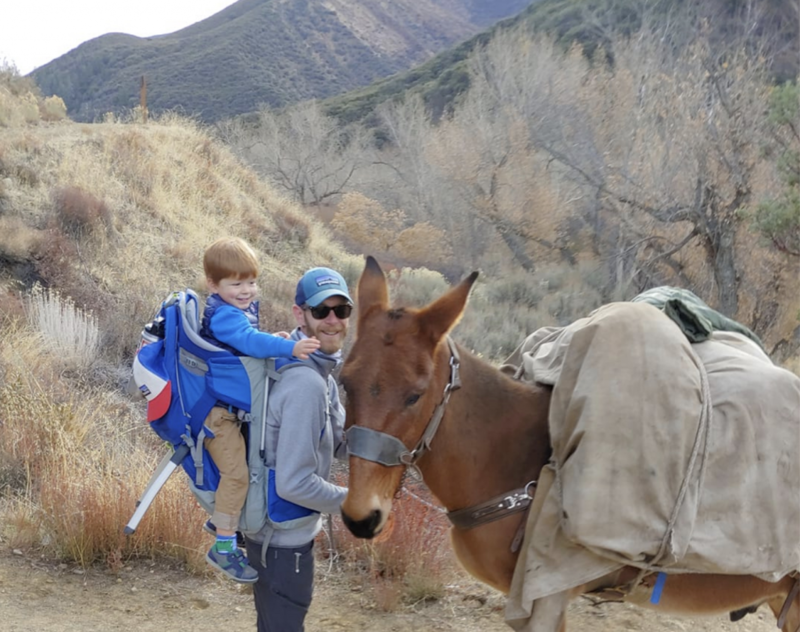 To support restoration of trespass cannabis grows in the Trinity Alps Wilderness and the Shasta-Trinity National Forest through the use of pack horses to carry equipment and supplies to access otherwise inaccessible sites. For the El Dorado Chapter to remove vegetation and litter from the bases of legacy conifers in the Caples Creek Inventoried Roadless Area to prepare for prescribed understory building needed to restore resiliency to old growth mixed conifer forests in the El Dorado National Forest. To organize two Ishi Wilderness Fire Restoration Workshops for a diverse set of stakeholders to share knowledge, learn about prescribed fire policies, identify areas where prescription fires are needed, and develop outreach and public education strategies. For the Point Molate Alliance to advocate for the conservation of the wildlands of Point Molate, the last undeveloped natural headland/coastal prairie on San Francisco Bay, as a public resource and a future regional park. To support training for volunteer docents and interpretive programs at Portola and Castle Rock State Parks. For the Water Climate Trust to support its Water for Nature program, which advocates for the restoration and protection of flow levels in rivers and streams in the upper Sacramento River watershed by participating in key state and federal regulatory and legal processes. To install a new video management system to monitor passage of fish in the Auburn Ravine and produce data needed to support protection of wild Chinook salmon runs and the ecosystems that support them. To increase awareness of, visits to, and environmental education around the San Joaquin River Gorge Recreation Area through capacity building and outreach. To raise visibility for Sierra and Cascade regional land conservation and to support collaborative advocacy for funding from state agencies. To support Sky Valley Volunteers to propagate and plant oak seedlings in the Simi Hills to help mitigate devastation by fire, drought, and invasive species. To support the fifth season of trail system recovery work in the Marble Mountains Wilderness through a summer program with Student Conservation Association interns. To support the Washoe Meadows community in its challenge to the downgrading of Washoe Meadows State Park. To protect and restore 320 miles of the Yuba and Bear watersheds through participation in the renegotiation of three federal hydropower licenses and to continue to challenge the Centennial Dam. To participate in the development of USFS projects on the Klamath and Six Rivers National Forests, monitor and document fire suppression efforts in the 2018 northern CA wildfires, and organize community-based restoration projects in the Western Klamath. To support research, advocacy, and litigation to protect the Medicine Lake Highlands and its aquifer from massive geothermal energy extraction. To restore and conserve Bay Area watersheds through a citizen science initiative illustrating the linkages between river otter population recovery and healthier waterways. To plant 1,000 sugar pine trees and 1,000 Jeffery pine seedlings with the help of 100 community volunteers on 40 acres of public land within the Sagehen Experimental Forest. Fiscal Sponsor: Social and Environmental Entrepreneurs (SEE), Inc.
To preserve and improve the riparian habitat in the Giant Sequoia National Forest through volunteer-driven river and land stewardship projects. To maintain seven miles of the Bigfoot Trail through the Yolla Bolly-Middle Eel Wilderness and six miles around Hayfork. To protect open space and wildlands by influencing revisions of the Calaveras County General Plan. To fund field research to determine wilderness qualification on recently acquired lands in the Tahoe National Forest. To support the acquisition of 2.6 acres of baylands near the mouth of the Petaluma River as permanently protected habitat. To protect the Trinity River ecosystem and its fisheries through participation in the California WaterFix (Delta Tunnels) process, including formal written and oral rebuttal testimony on the impact of the tunnels on the Trinity and Klamath Rivers. To support on-going volunteer programs that engage young people and the community in hands-on restoration of the Lake Earl Wildlife Area. To provide a one-week wilderness and environmental education experience for eight 12-14-year-old Trinity-Shasta County youth. To monitor damage caused by illegal off-road vehicle use in the Eldorado National Forest, and restore damaged wildlife habitat. To promote wilderness protection and expansion in the Eel River Basin. To fund a law suit challenging the recently approved Newhall Ranch development on the grounds that water supply projections are faulty and that the development will over-stress the Santa Clara River and destroy riparian/watershed wildlands and harm endangered species, including Southern Steelhead. To collect long-term, year-round data and evidence regarding the diminished water quality of streams downstream of clearcut and salvage-logged land in the Sierra and Cascade mountain ranges. To support the installation of new signs at trailheads in the San Gorgonio Wilderness; development of a QR-code-based nature adventure in a heavily used recreation area adjacent to the wilderness; and creation of program materials for summer weekend ranger talks on wilderness. To protect the floodplains and water resources of the Santa Clara River watershed. To reduce and eliminate highly toxic pesticide use in Easter lily fields that surround the ecologically vital Smith River Estuary and the town of Smith River. To support community engagement, particularly for low-income youth, in environmental leadership training programs and in the development and construction of the Allensworth-Alpaugh-Atwell Island Nature Trail in the Tulare Basin. To expand an existing shorebird research program by adding field cameras that will document habitat that snowy plovers and California least terns, both listed species, use for nesting and generate data that will guide long-term restoration programs at Ormond Beach. To support legal work, scientific data collection, advocacy, and public education aimed at protecting ecologically sensitive areas within the Washoe Meadows State Park. To build community support for the acquisition of four parcels of open space and habitat land in the west Petaluma Hills that will connect to existing park land and create a wildlife corridor. To support the negotiation of new license terms and conditions for the dams and powerhouses on the Yuba and Bear Rivers; and to lead the coalition challenging the proposed Centennial Dam. To monitor the passage of fish in Auburn Ravine in order to produce data on the salmon population needed to support efforts to protect and enhance wild Chinook salmon runs. To protect and restore open space and wildlands in the Rose Creek Watershed, the major fresh water tributary of Mission Bay, and one of the few undeveloped areas within the city of San Diego. To plant 1200 sugar pine seedlings with the help of 400 students recruited from schools in CA’s South and North Shore Lake Tahoe. To produce a series of four articles describing the environmental impact of legalized marijuana production on the North Coast for Trees’ quarterly magazine Forest and River News. To protect open space and wildlands in Calaveras County by influencing revisions of the County General Plan. To develop a conservation alternative to the Plumas National Forest Land and Resource Management Plan in order to win permanent protection of 80,000 acres of wilderness and 100 miles of Wild and Scenic Rivers. To protect wildlands and natural resources by contesting a recently approved Placer County zoning amendment that would allow ski resort development in an area protected by the state’s Timber Production Act. To use advocacy, research, organizing, public education, agency watchdogging, restoration and legal strategies to protect the Klamath and Six Rivers National Forests. To support advocacy and litigation to protect the Medicine Lake Highlands and its aquifer from massive geothermal energy extraction. To protect the Trinity River aquatic ecosystem from the proposed Delta Tunnels through participation in state Water Resources Conservation Board water rights hearings. To build public opposition to the proposed Centennial Dam and to engage in federal and state environmental impact assessment processes. To support a five-day wilderness backpack trip in the Trinity Alps for eight Trinity County youth ages 12-14. To support the Almanor Basin Trails Project, a coalition of conservation groups and land trusts, federal and state agencies, PG&E, and local businesses created to protect the upper North Fork of the Feather River watershed and to inform the public about the recreational opportunities and environmental values of the region. To support the development of a plan to restore 21 acres of the Lake Earl Wildlife Area in order to obtain significant long-term restoration funding and to expand collaboration with the Tolowa Nation in this work. To support the Rio Limpio Program, which supports clean up and youth/family nature programs along the Kern River, and the creation of a new Sequoia Roots Conservation Corp, a 10-member team of young people who will be trained as environmental stewards. To collect and analyze in-stream macro invertebrates as part of a project to restore steelhead habitat in the Santa Margarita River. To pursue all legal challenges to defend the Washoe Meadows State Park from irresponsible commercial development and protect natural, cultural, and recreational resources. To construct a new, sustainable trail route for the Potholes Trail and restore the Agua Blanca Trail, both on the southern end of the Condor Trail; and to support the development of a membership program. To continue support for efforts to reduce and eliminate pesticide use on farms surrounding the Smith River Estuary, a key element a broader strategy to protect biodiversity and human health and restore the estuary. To support the negotiation of new license terms and conditions for the dams and powerhouses on the Yuba and Bear Rivers. To recruit and support a Community Action Team that will develop a strategy for the creation of the Orr Creek Greenway, 2.5-mile trail along Orr Creek, a tributary of the Russian River. To gather and analyze long-term water quality data in the Battle Creek watershed of the Sierra-Cascades in order to monitor and challenge the impacts of irresponsible forestry practices. To support research, analysis, and mobilizing grassroots opposition to extensive road widening and realignment projects in Northern California that threaten the Smith River Canyon and Richardson Grove State Park and to advance planning for green, sustainable transportation systems in Del Norte and Humboldt Counties. To support the Eel River Wilderness Project, a multi-pronged strategy to expand wilderness areas along the Eel River in Mendocino and Humboldt Counties. To protect natural resources in Plumas County and appeal a Superior Court decision that will allow illegal, irresponsible development on resource production lands. To support advocacy and litigation to protect the Medicine Lake Highlands and its pristine aquifer from massive geothermal energy extraction. To complete a book illustrating the rich coastal habitat of Banning Ranch, a 400-acre property in Orange County, and advocate for its protection. To support continued public outreach, maintenance, and security on open space lands in the Sierra Buttes/Lake Basin area of Sierra County adjacent to the Pacific Crest Trail. To establish citizen science photo monitoring in the Klamath Mountain wilderness areas along the 360-mile-long Bigfoot Trail. The project will establish a baseline for monitoring climate change, create a citizen science experience for trail users, and develop a deeper sense of place for wilderness hikers. To support restoration and litigation aimed at reducing air pollution from hazardous dust and habitat damage resulting from off-road vehicle use in the Oceano Dunes Off-Highway Vehicle Park in San Luis Obispo County. Off-road vehicle use is destroying dune structure, native vegetation, wildlands, and createing unsafe air quality. Fiscal Sponsor: Environmental Council of Sacramento Inc.
To work with the Sacramento Area Council of Governments and diverse regional stakeholders in an ongoing planning initiative to develop a regional open space conservation strategy for agriculture, wildlife habitat, education, and recreation. To plant 650 ponderosa pines and 350 sugar pines with 100 volunteers in the King Fire burn scar near Georgetown CA, to help restore approximately 10 acres of the El Dorado National Forest. To lay the groundwork for large-scale restoration, mitigation, and preservation efforts through the creation of a Sacramento River Watershed Conservancy. To support river outreach, restoration, and stewardship events within the Tule and Kern River watersheds that engage river users to reduce trash, improve awareness of riparian importance, reduce fire risks, protect native species, and provide long-term solutions to severe drought conditions in the watersheds. To support the Desert Report, a 24-page quarterly publication that educates the public about California deserts and advocates for conservation and preservation of native habitat. To support a legal challenge to new state regulations for the creation of Working Forest Management Plan(s) that undercut the purpose of 2013 state legislation aimed at strengthening environmental protections for two to four million acres of private forest land. To continue to challenge the proposed update of the Calaveras County General Plan and to develop a General Plan alternative rooted in environmental protection and community accountability. To hire legal and technical experts to prepare comments on the final General Plan and EIS to challenge the Carnegie State Vehicular Recreation Area’s expansion into the 3000-acres known as Tesla Park. To use advocacy, collaboration, organizing, public education, agency watchdogging, scientific research, hands-on restoration, and litigation to defend old growth forests and promote the establishment of wildlife corridors in far northern California. To support outreach and hands-on learning activities to build community support for the restoration of the Salt River in Humboldt County. 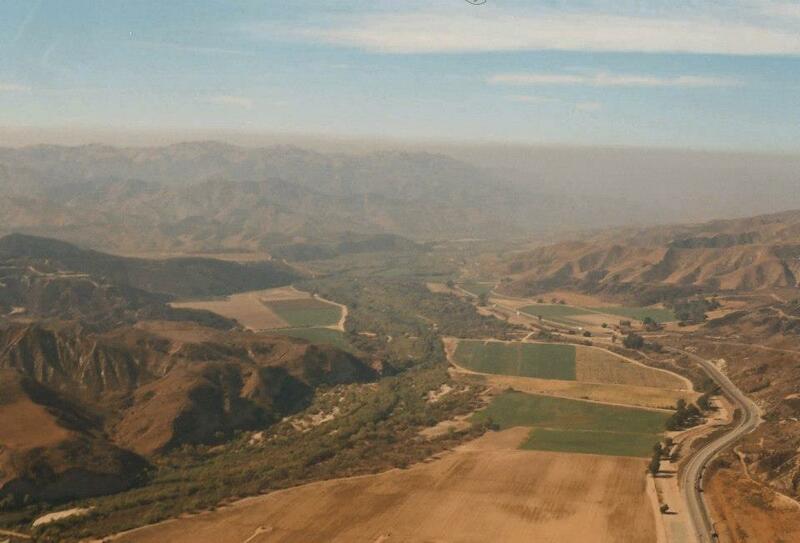 To halt the expansion of the Chiquita Canyon Landfill in LA County. The landfill is located on the Santa Clara River and its expansion threatens air and water quality as well as the health of local residents. To engage youth and build collaboration with the Tolowa Nation for urgently needed dune and wetland restoration of 200 acres at the mouth of Lake Earl, the largest coastal lagoon on the Pacific Coast of the US. To develop technical information that will support a broad coalition of environmental groups in opposition to a proposed dam on the Bear River. Fiscal Sponsor: Peace Development Fund, Inc.
To protect private and public lands and Native American sacred sites in the Southern Desert from off-road-vehicle abuse by working in coalition with local and regional stakeholders. To support the creation of a 425-mile hiking trail through the Los Padres National Forest; the majority of the trail would traverse a designated wilderness area and 28 miles would follow national Wild and Scenic Rivers. To protect and restore 300 river miles of the Yuba watershed through participation in two federally enforceable hydropower relicensing processes and other collaborative negotiation venues. To preserve and restore a portion of the Red Bluff Recreation Area of the Mendocino National Forest through invasives removal, planting of native flora, and creation of a trail to a specimen Goodding’s Black Willow tree. To protect the Smith River estuary and salmonid streams in Del Norte and Humboldt Counties by reducing or eliminating the use of highly toxic pesticides in Easter lily bulb production. To support two lawsuits and scientific data collection aimed at halting new golf course development on ecologically sensitive areas within the Washoe Meadows State Park and the downgrading of the Park itself. To gather and analyze long-term water quality data in the Battle Creek watershed of the Sierra-Cascades in order to monitor the impacts of clearcutting, salvage logging, and other irresponsible forestry practices and challenge these practices. 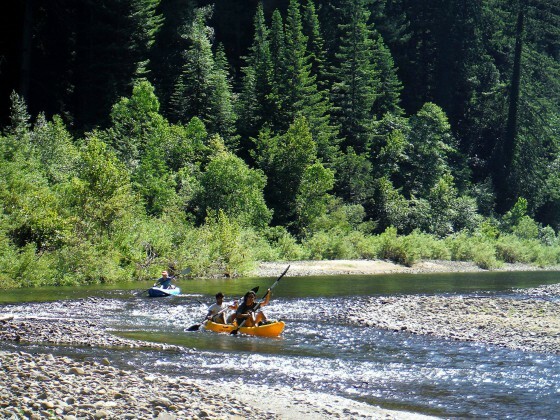 To develop the Eel River Wilderness Project, a multi-pronged strategy to expand wilderness areas along the Eel River in Mendocino and Humboldt Counties. To protect natural resources and wildlands in Plumas County by challenging environmentally unsound revisions to the county General Plan. To protect the Medicine Lake and its pristine aquifer from massive geothermal energy extraction. To organize public pressure to compel the Sacramento City Council to pass a resolution opposing clearcutting. This effort is part of a statewide campaign to halt clearcutting by enlisting cities, counties, water districts, and other entities to oppose the practice. To support restoration, stewardship, and monitoring habitat in the San Mateo Wilderness (Cleveland National Forest) that engages urban youth via field internships and training opportunities. To bring resource professionals, land managers and land owners together to collaboratively address invasives in the Blue Ridge-Berryessa Natural Area (Napa, Yolo, Solano, Lake, and Colusa Counties). To train and increase the expertise and number of docents who will serve as environmental stewards and lead interpretive hikes at natural spaces in the city of San Luis Obispo (SLO). To conduct habitat surveys and collect real time quantitative data on trout populations in river pools in Southern California. To support On the Record, a collaborative project to produce and post videos of local government agency and land use planning meetings on line in order to engage the public in key planning decisions and ensure transparency in decision-making. To return salmon and steelhead to a 33-mile length of the Auburn Ravine through restoration, collaboration, and providing a fish ladder and fish screen for Hemphill Dam. To support a public outreach and ranger project on open space lands in the Sierra Buttes/Lakes Basin area of Sierra County. To support 100 volunteers planting 1200 sugar pines and restoring 40 acres of Tahoe National Forest lands in the American Fire burn scar near Foresthill CA. To participate in an ongoing planning initiative with the Sacramento Area Council of Governments and diverse regional stakeholders develop a regional open space conservation strategy for agriculture, wildlife habitat, education, and recreation. To carry out targeted, urgently needed dune and wetland restoration along the ecologically and culturally rich Tolowa Coast. Restoration activities will encourage children, students, and families to become environmental stewards through experiential, hands-on learning. To support the writing and publication of the Desert Report, a 24-page quarterly that describes current issues facing the deserts of CA and NV and advocates for the conservation and protection of these fragile ecosystems. To support public education, research, organizing, policy development and advocacy, and regulatory and restoration efforts to protect public and private land from irresponsible off-road-vehicle use. To use advocacy, organizing, public education, agency watchdogging, scientific research, hands-on restoration, and litigation to defend old growth forests and promote the establishment of wildlife corridors in far northern California. To work with the Val Verde community to stop the planned expansion of the Chiquita Canyon landfill in northern Los Angele County, which threatens the water quality of the Santa Clara River and the health of local residents. To reduce or eliminate Easter lily producer pesticide use that is destroying the health of the Smith River estuary. To support two law suits and scientific data collection aimed at halting new golf course development on ecologically sensitive areas within the Washoe Meadows State Park. To census nesting pairs of Burrowing Owls in Yolo County to monitor population trends for conservation planning in order to influence county planning processes, including the Habitat Conservation Plan. To support the 17th annual Coho Confab, which will bring educators, community members, and landowners together with scientists, experienced restoration workers, agency staff, tribal members, and other experts to provide the inspiration, knowledge, and hands-on skills needed to aid in watershed recovery for Coho, Chinook, and steelhead salmon populations and their habitats. To support that Tule River Docent/Rio Limpio Project to conduct on-site river outreach events to reduce trash, improve personal responsibility and river safety, reduce risk of catastrophic fire events, and educate the public about rivers, water, conservation, and recreation. To support an outreach coordinator to organize community support for Calaveras County General Plan revisions that promote conservation and sustainability. To clean up illegal marijuana grow sites in designated Wilderness Areas within the Eel River basin. To mount a legal challenge to Plumas County’s General Plan Update, which will allow environmentally irresponsible development. To expand and facilitate the Mountain Meadows Watershed Group to identify consensus approaches to wildlands and watershed protections in the Upper Feather River Watershed. To train eight State Park volunteers to walk trails, and engage and educate visitors at Portola Redwoods and Castle Rock State Parks. 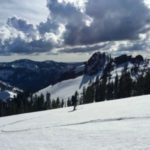 To continue support for a Land Trust ranger who carries out public education, trail maintenance, safety, and interpretive programs in the Sierra Buttes/Lakes Basin area. To support a fuels reduction program aimed at private landowners in the Upper Merced watershed, which will include a how-to manual, a daylong education program, and creation of five pilot fuels reduction neighborhood groups. For the “Put the Brakes on Caltrans” campaign to support grassroots environmental activists challenging ecologically devastating highway projects in Richardson Grove State Park (Humboldt County), the Smith River Corridor (Del Norte County) and the Willits Bypass (Mendocino County), all inside California’s fragile and unique North Coast. 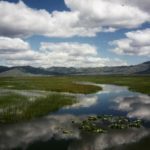 To support legal challenges aimed at wining permanent protection and restoration of the wildlands and wetlands of the Lake Earl lagoon region. To support the creation of a network of grassroots activists and organizations in the Central Valley working to protect habitat for Swainson’s Hawks and other species through mitigation programs, land use planning and advocacy at the local and state level, litigation, organizing, outreach, and environmental education. To support forest health and restoration field trips that will give 200 North Tahoe School District fifth graders the opportunity to plant 1,500 rust blight resistant sugar pine seedlings in recently thinned forests on California Tahoe Conservancy land near Kings Beach. To build a two to three mile hiking, biking, and equestrian trail system on a 103-acre parcel of undeveloped oak woodlands and chaparral on the outskirts of Atascadero recently acquired by ALPS and the city for use as a public park. The trails are designed to protect natural resources and minimize impacts to fragile ecosystems and will ultimately link to the nearby Los Padres National Forest. To protect private and public land in and near the Mojave Desert, including Native American sacred sites, from off-road vehicle abuse through public education, research, law enforcement, public outreach, advocacy, policy analysis, conservation/restoration of damaged lands, and the installation of historic/cultural interpretation and informational kiosks. To support advocacy and organizing to protect Washoe Meadows State Park and its natural, cultural and recreational resources from the impacts of a proposed state park status “downgrade,” which would allow the expansion of a golf course into fragile riparian areas. To coordinate a network of environmental and angler/wildlife NGOs participating in the federal relicensing of 25 hydropower dams on the Yuba, Bear and American Rivers in order to advance environmental and clean water goals. To hire legal and technical experts to prepare comments on the draft General Plan and EIS to challenge the Carnegie State Vehicular Recreation Area’s expansion into 3000 acres of public lands known as Tesla Park. To improve water quality on the Santa Ana River and tributaries in the city of Riversides by advocating for greater public access, and consequently increasing recreational use which will promote the river as an important natural resource. To protect farmland and open space in the Sutter Buttes area from development through public education and land acquisition and to support MMF’s national Land Trust Alliance accreditation. To support an outreach coordinator who will work to strengthen and build local alliances in support of the General Plan update proposals in Calaveras County. To work with government agencies and the public to protect and expand wilderness areas in the Eel River and Van Duzen watersheds. To protect natural resources and wildlands in Sierra and Plumas counties from premature and unwise development. To protect the upper watershed of the Hamilton Branch of the North Fork Feather River know as Mountain Meadows by helping private land owners improve and restore the meadow and streams. To continue support for On the Record, a public, on-line video archive of meetings of the Calaveras County Board of Supervisors, Planning commission and other land use planning related bodies. To support the public outreach/ranger program on SCLT’s lands in the Sierra Buttes/Lakes Basin. To recruit and train a local docent, who will manage and train river ambassadors (50 percent of whom are young people) to educate community members and visitors about the importance of the Tule River ecosystem, which is burdenedwith trash and other forms of pollution, and gang-related tagging. To protect wilderness areas, critical habitat, fragile soils, and riparian habitats from off-road vehicle damage in the Mojave Desert. To help ensure permit compliance, through citizen monitoring and watchdogging, for industrial-scale solar power plants being developed on Central California’s Carrizo Plain. To support legal action that defends the State of California’s right to restore normal water level fluctuations in Lake Earl and thereby protect the West Coast’s largest coastal lagoon. To support the use of the CEQA mitigation process to protect hawk habitat in the Central Valley. To create a connected network of parks, preserves, and conservation easements to protect open space and unique biodiversity in the Sacramento Valley. To use GIS mapping of vital wildlife connectivity corridors, including watersheds, ridges, and Roadless areas to strengthen the case for protecting core critical habitat and wilderness areas in the Klamath-Siskiyou bioregion. To restore and maintain a web-based mapping application that informs conservation efforts and growth planning and decision-making in the Morongo Basin. To protect the Mount Shasta bioregion through grassroots organizing, input into public agency planning processes, and a print, web and social media education/outreach campaign. To support litigation challenging San Luis Obispo County’s approval of development on 13,000 acres of mixed oak woodland, chaparral, and native grasslands in the Santa Margarita Ranch, which surrounds the town of the same name. To educate Californians about the importance and fragility of the Sacramento River, the longest river in the state. To support three tree plantings that will involve 240 middle school students in planting 500 blight-resistant sugar pine seedlings on five acres of U.S. Forest Service land northeast of Truckee near Lake Tahoe. To support the Big Year Program, a competitive event to engage high and middle school students in San Francisco, San Mateo and Marin counties in learning about and protecting endangered species in Golden Gate National Recreation Area. To organize local involvement in, and support for, a Calaveras County General Plan revision that protects and enhances open space and wildlands. To support collaborative public participation in three hydropower relicensings (which occur only once every 50 years) on the Yuba, Bear and American Rivers (Yuba, Placer, and Nevada Counties) to ensure that environmental concerns are included in final decision-making. To coordinate with the Karuk Tribe and local watershed and firesafe councils to advocate for local stewardship, and active participation in restoration along the Klamath River (Humboldt County). 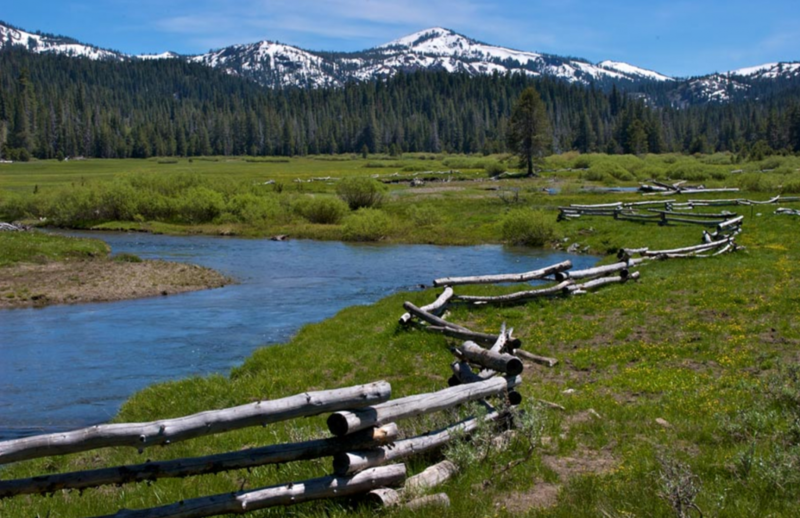 To support a grassroots campaign to protect over 3,000 acres of open space in Eastern Truckee threatened by poorly planned development (Nevada County). To educate residents, key officials and stakeholders about environmental threats to the Santa Ana Mountains and to promote the creation of a Grizzly Bear National Monument (Orange County). To organize citizen support for a city park on Ammo Hill in Novato (Marin County) that would provide recreation opportunities for local residents and restore ecosystems and habitat for migratory birds and other wildlife. To facilitate citizen participation in the Specific Planning and Environmental Impact Report process that will shape the development of the 430-acre Fort Bragg Mill Site, and restore open space in Fort Bragg (Mendocino County). To support long-term efforts to build positive relationships between the National Park Service and private landowners near the Pinnacles National Monument in the Gabilan Mountains east of the Salinas Valley (Monterey County). To support efforts to persuade state and federal agencies to provide biochemical testing of Smith River estuary waters, soils, plants and aquatic species and to enforce state and federal laws to protect this internationally important salmon refugium (Del Norte County). To support 2012 “Golden Gate National Recreation Area Endangered Species Big Year,” an environmental education and restoration program for high school students in San Francisco. To develop and test a prototype curriculum on California native grassland ecosystems for eventual widespread use by youth and the general public. To undertake the second phase of a strategic planning process that will emphasize building organizational capacity beyond the volunteer level. To support Canyon Land’s annual fundraiser and continue efforts to conserve habitat for the arroyo toad in Orange County. To support capacity building for the Cherokee Watershed Alliance, including equipment purchase for an environmental education and restoration program that engages sixth graders in monitoring water quality in Cherokee Creek (Butte County). To continue community outreach to for a campaign to protect Point Molate, which is located in the city of Richmond and contains the largest intact coastal prairie lands on the East Bay shoreline (Contra Costa County). To continue educational campaign to mobilize city of Richmond residents, city officials, and other key stakeholders about the environmental and social necessity of protecting Point Molate and its intact coastal prairie ecosystem (Contra Costa County). To educate the public about, and advocate for, the protection of desert ecosystems in Southern California. To support the Desolation Wilderness Volunteer program by purchasing new trail maintenance materials and tools, and producing updated interpretive and trip planning information. To support advocacy work with the state Board of Forestry and other key agencies in Sacramento to protect and restore forest lands in Humboldt County. To continue a 20+ years effort to secure permanent protection for the West Coast’s largest coastal lagoon, Lake Earl, located just outside Crescent City in Del Norte County. To support a public education campaign aimed at protecting fragile habitat and ecosystems in the Big Bear Valley (San Bernardino County) now threatened by more than a dozen proposed residential developments. To create a compelling and viable vision for the long-term protection and restoration of Rose Canyon, which encompasses some of the only remaining wildlands within the city of San Diego’s borders. To provide continued support to legal efforts to challenge development that destroys the habitat of the Swainson’s hawk, a California endangered species; to develop plans for mitigation; and to monitor the impact of mitigation efforts (Sacramento County). To hire scientific experts to prepare detailed critical comments and independent analyses to challenge flawed environmental studies and protect the Gualala River’s embattled Wheatfield Fork (Mendocino County). To support technical and legal consultants to review and prepare comments on issues raised by the Homewood Mountain Resort (HMR) Final Environmental Impact Report/Statement (FEIS) along Lake Tahoe’s western shore (Placer County). To fund a legal challenge to the amendment of the Timberland Production Zone Ordinance in Sierra County. Ongoing native plant restoration, environmental education programs, docent-led nature walks and special events at the Mare Island Shoreline Heritage Preserve in Vallejo (Solano County). To provide continued support for a legal challenge to Calpine Corporation’s plans to build geothermal energy facilities in the Medicine Lake highlands, an area which is sacred to Native Americans and ecologically significant. The Center is also building a broad based coalition to oppose this development and permanently protect Medicine Lake (Shasta County). To support a summer environmental education program for low-income children that gets them out on the Fresno River (San Joaquin County) and participating in cleanup and native plant restoration efforts. 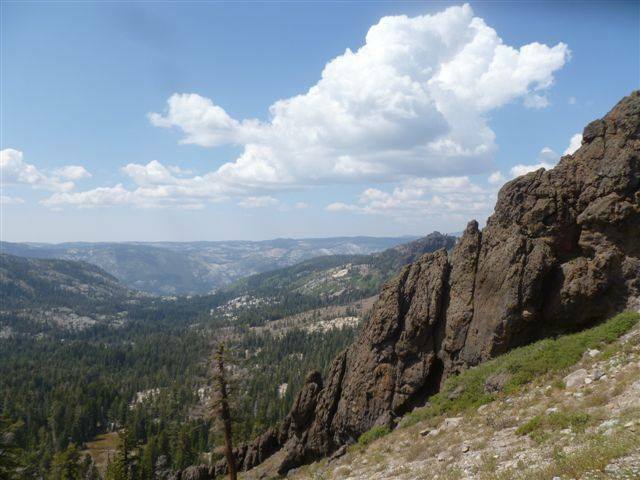 To launch an interpretive program on newly acquired land in the Sierra Buttes/Lakes Basin of Sierra County, located in the Central Sierra 50 miles north of Lake Tahoe. To fund educational programs in the Stanislaus National Forest and Yosemite National Park, including an expansion of the Leave No Trace program, which educates forest and part visitors about minimum impact practices (Tuolumne County). To help students and volunteers plant native pine seedlings in the burn scar created by the 2007 Angora Fire, which destroyed 254 homes and burned 3,100 acres, including parts of Washoe Meadows State Park and wildlands owned and protected by the California Tahoe Conservancy (El Dorado County). To train and educate local volunteer “River Ambassadors” to become stewards of the Tule River to protect and restore the river and its fragile ecosystem (Tulare County). The mission of Battle Creek Alliance is to protect the watersheds and forests of California for the benefit of the present and future inhabitants by ending the destructive practice of clearcutting and the associated use of herbicides. Citizens Looking at Impacts of Mining (CLAIM) is dedicated to informing Western Nevada County about the true facts surrounding the Idaho Maryland Mine Project. CLAIM’s work includes investigating the Idaho-Maryland Mine project impacts and mitigations, and disseminating information, both positive and negative, to the community as a resource for everyone to develop an informed opinion on this project. If necessary, CLAIM will investigate and inform regarding any and all efforts to open any other mine in Western Nevada County. It supports sustainable local growth with a 21st century focus in order to provide jobs for current and future generations in Nevada County. The mission of the Coastal Land Trust is to preserve and cherish natural land. The purposes of the Coastal Land Trust are to preserve and restore various types of natural land; to establish and manage trails and public access easements to the ocean and rivers; to research the ecology and geography of land to identify valued features appropriate for preservation; to provide contractual land management for public or private natural and recreational lands, including trail building and restoration; to provide long-term stewardship for conservation easements dedicated by private landowners, with or without public access; and to initiate and manage environmental education programs, including ecological, historical, cultural and archeological exhibits, and land restoration projects. The mission of the Community Action Project (CAP) is to promote community-based democracy in Calaveras County so that local citizens have the maximum possible control of quality of life issues that affect them. CAP’s vision is to preserve the rural quality of life in its county; protect its natural environment and agricultural lands; promote locally owned viable business; provide jobs and housing for all residents; and preserve its historical and cultural resources. Community Clean Water Institute is dedicated to promoting and protecting clean water and public health by identifying water pollution, advocating for sound water policies, and providing information to the public. Its water quality monitoring program has over 35 active volunteers testing water at 50 sites throughout Sonoma County. Environment in the Public Interest (EPI) is a scientific and educational corporation organized to ensure that the public has a voice with government officials responsible for land use planning and environmental protection. EPI’s three primary programs are the San Luis Obispo Coastkeeper, the civic engagement program and the intern program. The Foothills Water Network is a grassroots network, whose mission is to coordinate conservation strategies to maximize aquatic ecosystem health and enhance recreation opportunities in the Yuba, Bear, and American Rivers. The mission of the Friends of Hellhole Canyon is to expand and protect open space in and around the Hellhole Canyon Open Space Preserve and the Valley Center region through land acquisition, public education, and advocacy. Green Wheels works for a healthier community, economy and environment, advocating for balanced and sustainable transportation on the North Coast. The mission of Mariposans for the Environment and Responsible Government (MERG) is to inform the public and decision makers on land use and environmental issues in order to maintain a sustainable high quality of life for Mariposans as change comes to its communities. Its main efforts are to inform, educate, and engage the community; to conduct scientific research within its capabilities; to observe and report on local government issues; to spark debate and community action; to educate the public with integrity and respect; and to seek commonality and coalitions to solve community issues. Mount Shasta Bioregional Ecology Center (MSBEC) is a grassroots nonprofit organization dedicated to protecting and restoring the outstanding environmental and cultural values of Mount Shasta and its surrounding bioregion. This region is valuable as a major source of pure waters to the Sacramento Valley, pristine natural sanctuaries known the world over, rich biodiversity, and sacred areas of high significance to Native American cultures near and far. The organization brings its common visions of a culture in harmony with nature to creative solutions and widespread outreach, and into the legal, political and administrative forums where outcomes are decided. The Mountain Area Preservation Foundation (MAPF) is a grassroots environmental non-profit established by concerned residents of the Truckee Tahoe region. Since its inception in 1987, MAPF has worked to preserve, protect and enhance the region’s natural environment. MAPF serves as a local advocate for smart-growth principles, and seeks to ensure that new development is environmentally sensitive. The mission of the Noyo Headlands Unified Design Group (NHUDG) is to ensure the planning and implementation of an integrative and viable natural restoration of the 435 ocean-front acres of the Georgia Pacific mill site in Fort Bragg, CA. San Joaquin Et Al is a grassroots organization dedicated to ensuring the preservation of agricultural lands and the continued protection of natural resources in the San Joaquin Valley, through and open, transparent public process. Tolowa Dunes Stewards is dedicated to stewardship, science, protection and restoration for the unique coastal biodiversity of the Lake Earl lagoon system and Smith River estuary, including its sacred Tolowa Indian heritage sites and public wildlands known as Tolowa Dunes State Park, Lake Earl Wildlife Area and Point St. George. Wild Equity Institute (WEI) unites the grassroots conservation and environmental justice movements into a powerful force that builds a healthy and sustainable global community for people, plants and animals. Its team of experts in law, management, design and education accelerates the transition to this more equitable world through innovative education programs, nature-inspired design, science-based petitions, and vigorous enforcement of environmental laws. WEI was founded in August of 2009 after several years of community organizing to link the grassroots conservation movement and the environmental justice movement through the movements’ shared moral foundation: equity, the creation of a more just and fair world. Founded in 1985, the mission of Citizens for East Shore Parks (CESP) is to create a necklace of shoreline parks from the Oakland Estuary to the Carquinez Strait. It works to support public acquisition of lands on the Richmond Shoreline and other East Bay shorelines; monitor development and participate in the waterfront planning process for the Albany Shoreline; restore natural habitat and providing public amenities at the Eastshore State Park; educate the public about the importance of shoreline parks and open space for natural habitat and public uses; and explore the potential for an East Shore Parks Conservancy. The mission of the Environmental Protection Information Center (EPIC) is to protect the long-term health of the coastal forest ecosystems of Northern California, and provide a resource center for community environmental activism. EPIC is at the forefront of forestry reform, helping citizens to ensure that state and federal agencies follow their mandate to uphold environmental laws and protect endangered species. We use an integrated, science-based approach that combines public education, citizen advocacy and strategic litigation. EPIC has filed more than 60 lawsuits on behalf of imperiled species and their habitat, and many of our victories have established important legal precedents. These include two successful cases before the U.S. Supreme Court and two before the California Supreme Court. We have helped permanently protect more than 22,500 acres of land. Our current programs include the Clean Water Program, Private Forestlands Biodiversity Protection, National Forests Conservation Program, Endangered Species Protection Program, and the Humboldt Bay Initiative. Foresthill Residents for Responsible Growth (FROG) is a grassroots organization which seeks to provide facts and information to community residents on development issues that will affect their daily lives. Friends of Fawnskin’s mission is to monitor all issues which could impact air or water quality, wildlife habitat or quality of life in Fawnskin and throughout Big Bear Valley, to inform its membership and the public, and to keep agencies informed of public concerns on these issues. Its goal is to preserve the basic essence of this area’s character for the future enjoyment of all valley residents and visitors. 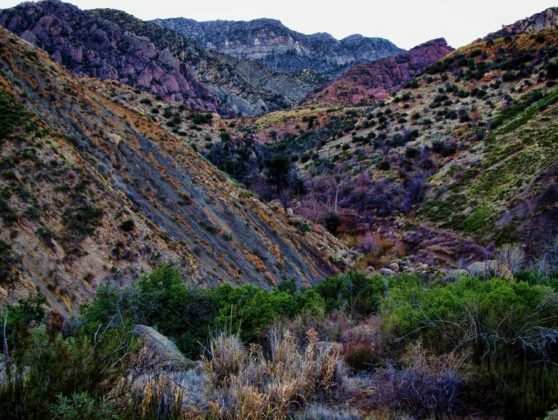 The mission of Friends of Rose Canyon is to protect, preserve and restore Rose Canyon and the Rose Creek watershed. Founded in 2002 in response to San Diego’s proposal to build a major road through the heart of Rose Canyon Open Space Park, FRC engages in educational programs, grass-roots organizing, advocacy and legal actions. Friends of Swainson’s Hawk (FOSH) aims to promote public awareness and understanding of the Swainson’s Hawk, its environmental, habitat, and flyway requirements, and the measures needed for the protection and restoration of the Swainson’s Hawk; to undertake any lawful activities permissible for the protection and restoration of the Swainson’s Hawk and the habitat and ecosystem values necessary for its protection and restoration. It is the mission of MyValleySprings.com to promote responsible growth and development through public participation in community planning in order to preserve the quality of rural life in the greater Valley Springs area. North County Watch is a California non-profit 501 3c corporation. It is an all-volunteer organization founded in 2001 to promote balanced, responsible development through economic and environmental policies that maintain and enhance the uniqueness of our community in northern San Luis Obispo County. Santa Clarita Organization for Planning and the Environment (SCOPE) is a volunteer-run organization serving the Santa Clarita Valley in Northern Los Angeles County on issues affecting the quality of life. It is dedicated to protecting the environment and promoting planning policies that are sensitive to the environment. Save Auburn Ravine Salmon and Steelhead (SARSAS) is a small grassroots organization of all volunteer activists working collaboratively and cooperatively to modify the thirteen man-made barriers on the Auburn Ravine and the six or more beaver dams, making them passable for fish. The goal of SARSAS is to return salmon and steelhead to the Auburn School Park Preserve. The mission of Shasta Resources Council (SRC) is to protect selected federal land located on the west side of Redding, CA, in Shasta County, from being converted to private ownership and development. SRC’s goals are to preserve the land for public use and protect the natural environment. 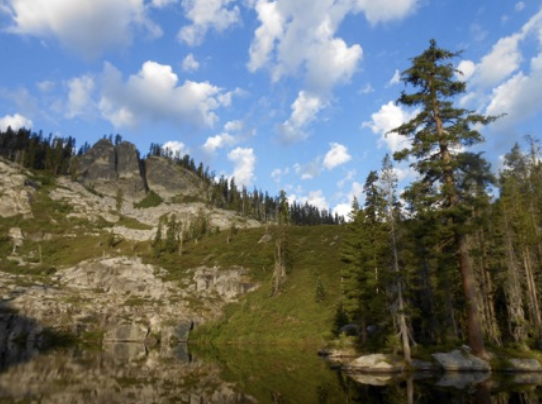 Sierra County Land Trust seeks to preserve the wild Sierra Buttes/Lakes Basin of Sierra County, fifty miles north of Lake Tahoe, for public open space use. 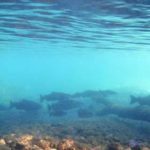 Trout Unlimited- San Diego Chapter seeks to conserve, protect, and restore coldwater fisheries and their watersheds through scientific, educational and charitable activities. The mission of the Ventana Wilderness Alliance (VWA) is to protect, preserve, enhance and restore the wilderness qualities and biodiversity of the public lands within California’s northern Santa Lucia Mountains. The primary focus of the Ventana Wilderness Alliance is that of working with the various agencies responsible for the management of local public lands, and offering its collective experience to aid them in making decisions that impact the forests. Wolf Creek Community Alliance exists to protect, enhance, and restore Wolf Creek, its tributaries and watershed. Its goals are to preserve and protect the creek and its watershed for the benefit of present and future generations; to engender community stewardship of the creek and its watershed; to restore the creek to a condition of optimal health and integrity; to monitor the physical, chemical, and biological condition of the creek; and to prosper and thrive as an organization and thereby have a long-lasting presence and effect in the watershed. 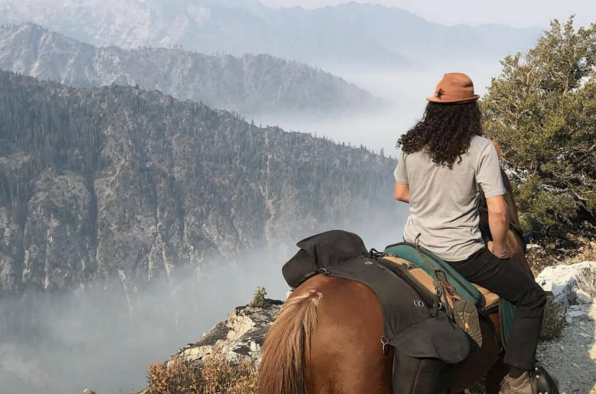 The Back County Horsemen of California (BCHC), based in the Central San Joaquin Valley, comprises individuals dedicated to conserving backcountry wilderness and protecting stock users’ historic access to wilderness trails and forage. BCHA members work with public land administrators on issues pertinent to public use of the back country. CWGF supported efforts to include low-income high school students in BCHC’s Ambassador Program, a hands-on wilderness data collection program. In response to large-scale development threats on the Albany and Berkeley shorelines, local environmentalists banded together in 1985 to form the Citizens for East Shore Parks (CESP) to fight for a shoreline park. CESP preserves the natural resources and facilitates the recreational and educational opportunities of the east shore of San Francisco Bay, creating a necklace of shoreline parks from Oakland to the Carquinez Strait. Funds from CWGF were used to educate residents, key officials and stakeholders about protecting the shoreline by choosing open space as the “preferred” alternative in the city of Richmond’s General Plan. Based in Sonoma County, the Community Clean Water Institute (CCWI) protects water resources and public health, identifies pollution sources through research, education and water quality testing and works to prevent water pollution throughout coastal Northern California. CCWI also collects and analyzes water quality data, engages in education and community outreach activities and shares information with government regulatory agencies and the public. CCWI received a grant from CWGF to analyze in stream flow, temperature, and nutrient and dissolved oxygen levels in Mark West Creek near Santa Rosa. Desert Survivors was founded in 1981 to encourage the experience, sharing and protection of desert wilderness. In addition to its advocacy work, Desert Survivors leads free backpacking trips and car camps for people of all levels of skill and fitness, and offers courses in beginning backpacking. Desert Survivors has over 700 members, primarily in California and Nevada. CWGF provided support for communications, outreach, and research. Environment in the Public Interest advocates for the protection and preservation of habitat and biodiversity in the central coast of California. EPI also sponsors the San Luis Obispo CoastKeeper, part of the international Waterkeeper organization, which is dedicated to protecting the ocean and fresh waters of the region. CWGF funded EPI’s efforts to identify and analyze the biological and hydrologic impacts of the development of a proposed new gravel mine in the Cuyama River in Santa Barbara County. HOriginally founded in 1970 in response to Earth Day, Friends of ECOS provides environmental education and protection in the Sacramento region, with a focus on regional sustainability. Funds from CWGF were used to support the Habitat 2020, a coalition of environmental organizations collaborating to protect the lands and waters where wildlife and native plants live in the Sacramento region. Friends of Redwood City was formed in 1982 by citizens concerned about development proposed in what is now Bair Island National Wildlife Refuge, and were successful in efforts to protect these fragile wetlands in San Francisco Bay. Since then, Friends of Redwood City has become an advocate for sustainable development in their community, advocating for sound policy and programs that balance environmental protection and economic activity. This grant provided funds to create and mail brochures. Friends of Rose Canyon is dedicated to the protection, preservation and restoration of Rose Canyon and the Rose Creek watershed, located in the city of San Diego and providing needed recreation and environmental resources to this rapidly growing community. CWGF funds were used to support legal proceedings to stop the building of a major road through the heart of Rose Canyon Open Space Park. Green Wheels works for a healthier community, economy and environment, advocating for balanced and sustainable transportation on California’s rural North Coast. Green Wheels defines this as public transit that is a viable alternative to driving for working families, land use planning to make sustainable transportation more cost and time-effective, and bike and pedestrian infrastructure that everyone feels safe using, including a Humboldt Bay Trail between Eureka and Arcata. The grant from CWGF funded Green Wheels’ leadership of the Healthy Humboldt Coalition, which supports transit solutions that preserve open space, reduce carbon footprints and improve community health. The High Sierra Rural Alliance (HSRA) is a grassroots organization committed to the preservation and enhancement of the rural Sierra experience. 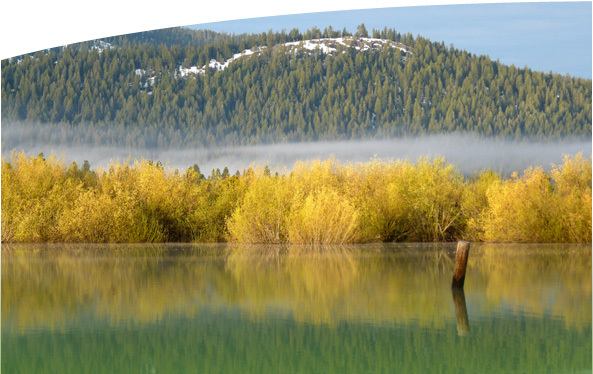 HSRA’s advocacy has resulted in significant successes protecting the public’s interest in local land use issues, meaningful public participation in the local decision-making process and the resources of the Sierra Valley and the Sierra Buttes/Lakes Basin, located in Plumas and Sierra Counties. Funds from CDGF went to support HSRA’s Monitoring and Advocacy Program and its efforts to influence the Plumas County General Plan. The original and continuing goal of the Lompico Watershed Conservancy is to protect land and habitat in the Santa Cruz Mountains through the use of conservation easements or purchase. The Conservancy also conducts restoration projects for native steelhead and salmon habitat and monitors and comments on the decisions of the Regional Water Quality Control Board. Funds from CWGF helped acquire threatened lands as additions to the Mill Creek Conservation Area north of Santa Cruz. 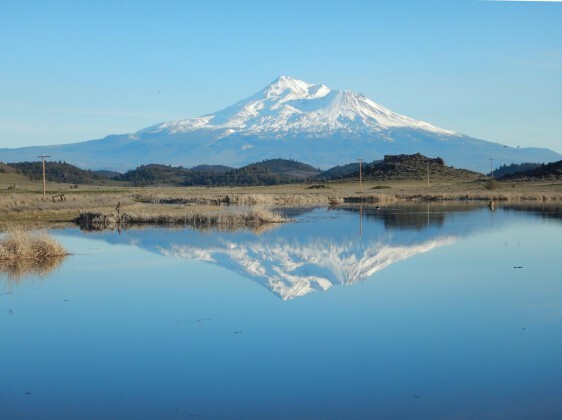 The Mount Shasta Bioregional Ecology Center (MSBEC) is dedicated to protecting and restoring the natural environment and cultural values of Mount Shasta and of its surrounding bioregion. MSBEC recognizes this region is of great importance locally, nationally and internationally in providing pure waters to the Sacramento Valley, rich biodiversity, numerous pristine natural sanctuaries, and sacred areas of high significance to Native American cultures. 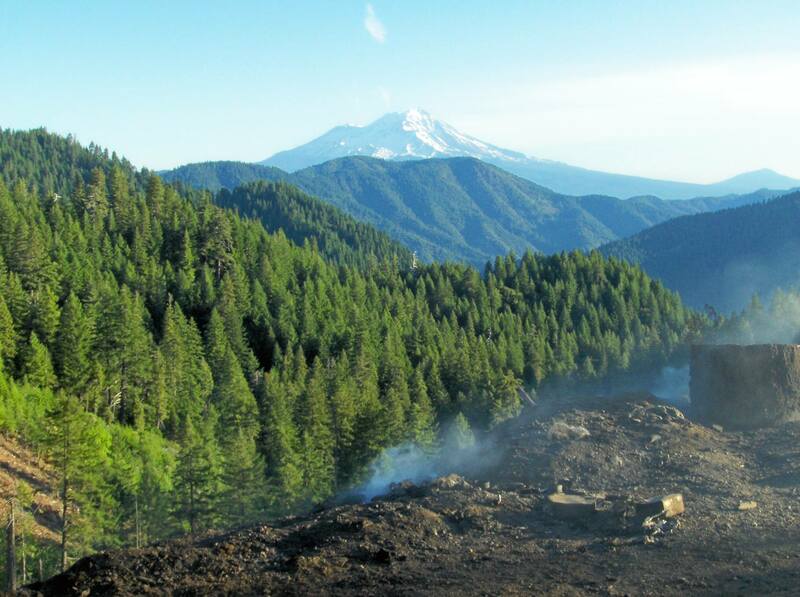 CWGF funding supported MSBEC’s continuing legal and administrative efforts to halt the geothermal industrialization of Mount Shasta’s Medicine Lake Highlands, an area sacred to native people of the region. Mountain Meadows Conservancy was formed in August 2001 by Lassen County citizens concerned about the future of the Mountain Meadows Basin. The Conservancy’s mission is to conserve and enhance the natural beauty and environmental health of the Mountain Meadows watershed; protect its significant Mountain Maidu burial and cultural sites; and provide recreation and public access for generations to come. It is committed to working in partnership with all interested stakeholders, including area citizens, landowners, businesses, public agencies, educators, elected representatives and public and private organizations at the community, regional, state and national levels. Funds from CWGF were used to hire a development director and build organizational capacity for the long-term. MyValleySprings.com (MVS) was created in response to rapid development in the rural unincorporated Valley Springs area east of Stockton and the San Joaquin Valley in the rolling Sierra Nevada foothills of western Calaveras County. Its mission is to promote responsible growth and development through public participation in community planning in order to preserve the quality of rural life in the greater Valley Springs area. Funds from CWGF were used to hire a consultant to develop a fundraising and volunteer recruitment program and a long term organizational development plan. Founded in 1998, the Norcal Environmental Student Network coordinates activities and encourages contacts between environmental and outdoor high school clubs throughout central and northern California. Through its Teenage Environmental Geospatial Action Program (TE-GAP), the Network trains high school students in the use of geospatial technology to assist organizations and agencies in collecting data to improve the stewardship of public lands, open space resources, and protect the public from environmental hazards. This CWGF grant supported a 15-student TE-GAP team to collect data points and create GIS data files on wildlands characteristics and resources in the Fort Ord Dunes near in Monterey County. Located in the foothills of the Sierra Nevada, the Rural Quality Foundation is dedicated to conserving and enhancing a vigorous and sustainable balance between people, the economy, and natural resources, and to advancing policies and programs that foster this balance. The grant from CGWF supports the Land Use Projects Director, the key position in implementing efforts to support sustainable community planning in the region. The San Gorgonio Wilderness Association (SGWA) protects the San Bernardino National Forest of southern California, including the San Gorgonio Wilderness, and serves the public visiting the forest. These services are provided through the generous donation of time by nearly 120 volunteers and individual donations. SGWA provides patrols, programs, and maintenance supplies, as well as training to volunteers. Funds from CWGF were used train volunteers to “boss” trail maintenance and repair. Tulare County Citizens for Responsible Growth (TCCRG) is a diverse group of local residents united by concerns about the direction of future growth in Tulare County. Reflecting the expressed values and wishes of county residents, TCCRG works to ensure that future growth in Tulare County protects local economy, communities and natural resources. TCCRG supports directing growth into existing communities and protecting agricultural land and open spaces. The grant from CWGF supported the hire of a part-time coordinator to develop and advocate for a “healthy growth” alternative to Tulare County’s General Plan Update. Founded in the summer of 1998, the Ventana Wilderness Alliance is dedicated to protecting the wildlands of California’s northern Santa Lucia mountain range. Ventana’s primary focus is working with the various agencies responsible for the management of local public lands, and on offering collective experience to aid these agencies in making decisions that impact local forests. Funds from CWGF supported the development of a management plan for the Milpitas Special Interest Area. The mission of the Waldo Holt San Joaquin Wildlife Conservancy (WHSJWC) is to preserve habitat land in San Joaquin County, one of the richest agricultural areas in the world, for wild birds, fish, animals and plants. 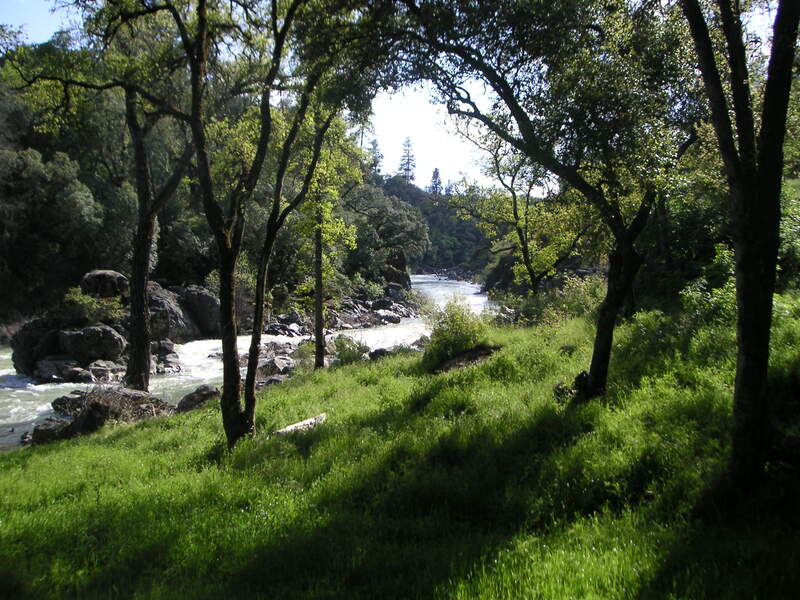 WHSJWC, formed in 2007 by San Joaquin County residents, is attempting to acquire 4.65 acres of riparian habitat land on the Mokelumne River, in partnership with the county Parks Department, for donation as an annex to the Woodbridge Wilderness Area. The grant from CWGF supports the Conservancy’s fundraising for the purchase of this riparian land. The Altadena Foothills Conservancy (AFC) was founded in 2000 to preserve open space lands, along with trails and associated historic structures in the Altadena foothills of Los Angeles County. To achieve this goal, the all-volunteer Board protects land through land purchase and easements; educates local residents and trail users about the value of the environment; and restores degraded land to improve the value of the habitat and the watershed. Funds from CWGF supported AFC’s mapping project which highlighted existing resources and priorities for land conservation. The California Native Plant Society (CNPS) is a statewide nonprofit organization that promotes appreciation and conservation of California’s native plants. Funds from CWGF supported CNPS’ East Bay Chapter’s Priority Protection Project to identify, map, and prioritize sensitive botanical resources in Alameda and Contra Costa counties, enabling CNPS to educate local and regional land managers, land trusts, and governmental agencies on the valuable resources within their jurisdictions. Community Clean Water Institute (CCWI) is dedicated to promoting and protecting clean water and public health in Sonoma County by identifying water pollution, advocating for sound water policies, and providing information to the public. Funds from CWGF supported Community Clean Water Institute’s water quality monitoring program. CCWI has over 35 active volunteers testing water at 50 sites throughout Sonoma County. Friends of Del Norte provides a voice for the county’s unique wildlands, waters and wildlife. It works to preserve and protect these resources so that they will not perish and future generations will share in their richness. Funds from CWGF allowed Friends of Del Norte to help pay legal expenses related to a proposed subdivision that would destroy Lake Earl, California’s largest coastal lagoon. The wildlands at stake provide habitat for at least 15 threatened species, such as the western snowy plover, the Oregon silverspot butterfly and tidewater goby. Friends of Swainson’s Hawk (FOSH) is dedicated to the survival and recovery of the California Sacramento/Central Valley population of Swainson’s Hawk and works to promote public awareness of the hawk, its habitat, and its flyway requirements. With its CWGF grant, FOSH was able to hire a strategic planning consultant who helped expand and begin implementing FOSH’s strategic plan. Golden State Flycasters (GSF) supports the conservation and restoration of fisheries, and also educates the public on the sport and art of fly-fishing. GSF conducts water monitoring in Escondido Creek in North San Diego County. Funds from CWGF were used to conduct a laboratory analysis of macroinvertebrate populations in the area and purchase equipment required for bioassessment sampling. High Sierra Rural Alliance (HSRA) works to preserve and enhance the rural Sierra experience. HSRA believes that rural values provide a balance between human, economic, and environmental well-being. The CWGF grant allowed HSRA to develop a challenge against Plumas County related to General Plan amendments. Los Padres ForestWatch (LPFW) is dedicated to protecting and restoring the Los Padres National Forest and surrounding public lands using science, law, education, and community involvement. Its programs include endangered species and habitats; rivers and watersheds; oil and gas drilling; livestock grazing; off-highway vehicle abuse; and public lands resource extraction. ForestWatch used its grant to protect the Los Padres National Forest from oil drilling in Los Padres National Forest, which would have significant impacts on the California Condor. Located in Calaveras County, MyValleySprings.com’s mission is to promote responsible growth and development through public participation in community planning in order to preserve the quality of rural life in the greater Valley Springs area. MyValleySprings.com used its CWGF grant to develop a community plan determining Valley Springs’ community boundaries. Rural Quality Coalition Foundation (RQC) seeks to foster the retention of the rural quality of Nevada County through direct action. RQC serves as the main education and support group on environmental, open space, and land use planning issues in the county, and works to fight sprawl and retain open space throughout the region. With the help of CWGF funding, RQU was able to employ a Land Use Projects Director to focus on community outreach. Save Round Valley Alliance for Smart Growth (SRVA) is a grassroots organization protecting and enhancing the quality of life in Inyo and Mono counties by encouraging appropriate planning and development that safeguard the natural environment, the regional economy, and the interests of local residents. Funds from CWGF supported SRVA’s outreach and communications efforts. Tolowa Dunes Stewards is dedicated to stewardship, science, protection and restoration for the unique coastal biodiversity of the Lake Earl lagoon system and Smith River estuary, which includes sacred Tolowa Indian heritage sites, Tolowa Dunes State Park, Lake Earl Wildlife Area and Point St. George. Tolowa Dunes Stewards used the grant from CWGF to support its work to organize statewide and national coalitions and to apply for conservation designation. Bay Area Coalition for Headwaters (BACH) is a volunteer-driven organization dedicated to preserving the redwood and old growth forests of California’s north coast. BACH connects local environmentalists with rural forest activists so they can work together to protect the redwood ecosystem and provide real solutions for forest workers and communities. BACH used its CWGF grant to produce publications and materials and support ongoing staff activities. Canyon Lands Conservation Fund (CLCF) aims to save and preserve the remaining natural open spaces inside and adjacent to Orange County’s section of the Cleveland National Forest, forming links to the Chino-Puente Hills Open Space Corridor in Los Angeles County by documenting the biological and water quality in this region. CWGF funds supported CLCF’s efforts to provide legal protection for the Southwestern Arroyo Toad. Ebbetts Pass Forest Watch (EPFW) is dedicated to stopping clear-cutting in the Sierra Nevada. Its mission is to protect, promote and restore healthy forests and watersheds to maintain a high quality of life. CWGF’s grant supported EBFW’s Community Action Program which encourages public understanding of the 10-year review of Calaveras County’s General Plan and its influence on residents’ quality of life. Eldorado National Forest Interpretive Association (ENFIA) helps the Eldorado National Forest serve the public through sharing the Forest’s history and many special features. It also operates a seasonal Forest Service Information Station at Carson Pass, and works in partnership with the USFS to care for the Eldorado National forest through back country patrol, wilderness cleanup and preservation, wilderness education, and Leave No Trace courses. The grant from CWGF helped support ENFIA’s wilderness education programs and increase the local community’s involvement in managing public lands. The Feather River Resource Conservation District (FRRCD) is dedicated to educating and assisting ranchers and other landowners who need to implement resource conservation practices on their property. The District’s boundary extends to the Lassen, Shasta, Tehama, Butte, Yuba, and Sierra County lines. The CWGF grant was used to purchase digital camera equipment that enabled the FRRCD to monitor, document, and publicize conservation and restoration projects within the Feather River watershed. Friends of Coyote Hills and Fremont (FCHF) was founded in 2001 to oppose massive development projects proposed on open space between Coyote Hills Regional Park and the rapidly growing southeastern San Francisco Bay area. The CWGF grant was used to print and distribute a mailer describing a local ballot measure’s impact on wildlife, traffic, city services, schools and open space. Friends of Del Norte provides a voice for this rural county’s unique wildlands, waters and wildlife. It works to preserve and protect these resources so that they will not perish and future generations will share in their richness. CWGF’s grant helped Friends of Del Norte enlist legal assistance in their efforts to save Lake Earl Lagoon. Friends of Swainson’s Hawk (FOSH) is dedicated to the survival and recovery of the California Sacramento/Central Valley population of Swainson’s Hawk and works to promote public awareness of the Swainson’s Hawk, its habitat, and its flyway requirements. The CWGF grant allowed FOSH to hire a consultant who helped develop a strategic plan and engage the board. The High Sierra Volunteer Trail Crew assists the United States Forest Service by providing educational programs designed to educate the public of the benefits of preserving our nation’s natural environment. Funds from CWGF allowed the Crew to purchase equipment and safety supplies to continue maintenance of backpacking trails in the Sierra National Forest. Los Padres ForestWatch (LPFW) is dedicated to protecting and restoring the Los Padres National Forest and surrounding public lands using science, law, education, and community involvement. Its programs include endangered species and habitats; rivers and watersheds; oil and gas drilling; livestock grazing; off-highway vehicle abuse; and public lands resource extraction. Funds from the CWGF allowed LPFW to file a lawsuit in U.S. District Court to prevent the expansion of oil drilling in the Los Padres National Forest. The Mount Shasta Bioregional Ecology Center is dedicated to protecting the environment and cultural values of Mount Shasta, the Medicine Lake Highlands, and the surrounding bioregion. The CWGF grant was used for efforts to halt geothermal development in the Medicine Lake Highlands, an area of great biological diversity and spiritual significance to Native Communities. Located in Lassen County, the mission of Mountain Meadows Conservancy (MMC) is to conserve, protect, and enhance the natural beauty and environmental health of the Mountain Meadows Basin and watershed; to protect its significant Mountain Maidu Indian burial and cultural sites; and to ensure recreation and public access to the Mountain Meadows Basin for future generations. Funds from the CWGF allowed MMC to conduct air quality and traffic studies for the Revised Draft Environmental Impact Report (DEIR). Rural Quality Coalition Foundation (RQC) helps retain the rural quality of Nevada County through direct action. RQC serves as the main education and support group on environmental, open space, and land use planning issues in the county, fighting sprawl and protecting open space throughout the region. With CWGF funds, RQC employed a Land Use Projects Director to work on a Community Planning Program which educates the public and acts as a liaison between the county’s environmental interests and its elected officials. Located in San Mateo County, Mountain Watch’s mission is to preserve and protect San Bruno Mountain’s Native American village sites and endangered habitats from further destruction by invasive non-native plants and urban sprawl. Staff used the grant to support efforts to watchdog the implementation of the U.S. Fish and Wildlife Service’s Habitat Recovery Plan for the area. San Diego Tracking Team (SDTT) promotes the preservation of wildlife habitat in San Diego County through citizen-based wildlife monitoring and environmental education programs. Funds from CWGF allowed SDTT to design educational brochures and display boards, and to provide First Aid and CPR training for volunteers. Located in the Shasta Cascade region of northern California, the Shasta Cascade Educational Foundation is dedicated to educating the public about the thoughtful use of public lands and the social benefits of leisure activities. Funds from CWGF supported the Foundation’s efforts to designate a National Recreation Area along the Sacramento River. Formed in 1997 in response to emerging public concern over vineyard development on Sonoma County’s redwood forestland, Town Hall Coalition promotes ecologically and economically healthy communities through responsible land use. CWGF supported THC’s Save Our Sonoma County Project’s efforts to stop the sprawl of wine factories and agricultural support services into rural areas. West County Toxics Coalition (WCTC) empowers low and moderate income residents to exercise greater control over environmental problems that impact the quality of life in the city of Richmond in western Contra Costa County, California. Funds from CWGF supported WCTC’s Breuner Marsh Campaign. WildPlaces is a nonprofit organization dedicated to the preservation, restoration, and protection of California’s wild and rural places and the peoples who are part of these native landscapes through volunteer-driven habitat restoration, environmental and cultural education, political advocacy, and career development. CWGF funded WildPlaces’ efforts to protect oak trees in Tulare County. 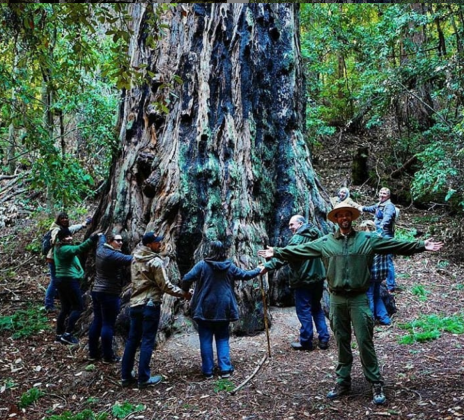 BACH connects local environmentalists with rural forest activists to preserve the redwood ecosystem, with real solutions for communities and forest workers. BACH used its grant for its Wilderness Forever! Project, which provided oversight of the Bureau of Land Management’s Plan for the Headwaters Reserve. The mission of Butte Environmental Council, based in Chico, is to encourage the preservation, conservation, and restoration of natural resources in Northern California through education, advocacy and referral services. CWGF supported BEC’s efforts to protect vernal pools, unique types of wetlands that host life forms uniquely suited to seasonal flooding and complete drying out in summer. In California, only 5% of these native wetlands remain. The California Wilderness Legacy Project’s mission is to ensure an enduring resource of wilderness for California. The Project educates the public on wilderness issues with an emphasis on wilderness stewardship and the preservation of wilderness values. Funds were used to coordinate the California Wilderness Stewardship Summit, a first-ever statewide conference bringing together National Forest wilderness volunteers to network and explore solutions to problems common to volunteer organizations. Ebbetts Pass Forest Watch (EPFW) is dedicated to stopping clearcutting in the Seirra Nevada. Its mission is to protect, promote and restore healthy forests and watershed to maintain a high quality of life. CWGF’s grant supported the Community Action Program which encourages public understanding of the 10-year review of the General Plan and its influence on the quality of life for residents in Calveras County. The mission of Environment in the Public Interest is to advocate the public’s interest in preserving habitat and biodiversity in California. CWGF funds were used to support a lawsuit challenging amendments to the San Luis Obispo County Agricultural Clustering Ordinance, which would allow increased development. Environmental Action Committee of West Marin (EACWM) is a grassroots group dedicated to the protection and appreciation of West Marin’s natural environment and rural character. CWGF funds supported EACWM’s efforts in bringing into compliance existing laws involving recreation, grazing, and quarry operations at Lawson’s Landing and increasing community awareness of Tomales Dunes and its unique habitats. Environmental Defense Project of Sierra County’s objective is to ensure that requirements of Federal, State and County regulations are adhered to in County land use decisions. The grant from CWGF helped support efforts to increase grassroots citizen participation in public planning meetings. Established in 1996, the Forest Practices Review Program (FPRP) is a citizen-led group that serves as a watchdog of proposed Timber Harvest Plans in the Mattole River Watershed in Humboldt County. Since its inception all but one of its watershed timber companies have either sold their land or ceased harvest. FPRP was able to hire a geologist to provide independent review in the Pacific Lumber Company’s watershed analysis with its CWGF grant. The mission of Friends of Juniper Falts is to preserve, protect and restore the natural and cultural values of the Juniper Flats, Arrastre Canyon, and Grapevine Canyon areas. Friends used its grant to support a regional conference on Off-Highway Vechicle abuse in San Bernardino and Riverside Counties. Klamath Forest Alliance (KFA) was founded in 1989 as a membership organization of forest protection activists working primarily in the far Northern California Klamath Mountains and Klamath/Siskiyou bioregion to protect and restore the unique ecosystems and species of this area. KFA’s programs are committed to protecting the largest concentration of wild steelhead and salmon habitat and unprotected wild forests remaining in the Northwest. KFA used its grant on the production and distribution of a video for its Salmon River Campaign. The Laguna Mountain Volunteer Association is a group of dedicated volunteers who work closely with the United States Forest Service to provide recreational and environmental opportunities for visitors to the Laguna Mountain Recreation Area in the Cleveland National Forest. CWGF funds allowed LMVA to purchase a touch screen computer system that enabled them to do digital presentations of forest features and preservation issues. Lompico Watershed Conservancy’s mission is to protect the headwaters of Lompico Creek in Santa Cruz County from industrial logging and development. CWGF support allowed the Conservancy to hire a hydrologist to challenge the assertions in a timber harvest plan. Los Padres ForestWatch works to protect and restore the Los Padres National Forest and nearby public lands California’s Central Coast. ForestWatch used its grant to prepare for an appeal against a US Forest Service plan to allow oil drilling in Los Padres National Forest, which would have significant impacts on the California Condor. Founded in 1969, Morongo Basin Conservation Association (MBCA) is a nonprofit organization whose members are interested in environmental and conservation issues throughout the Morongo Basin and surrounding desert areas from Yucca Valley to Eagle Mountain. Its mission is to maintain the high quality of desert air; protect the quality and quantity of water sources; protect natural scenic beauty, including native flora and fauna; and assist public officials in planning growth that considers the health and welfare of all persons in the Morongo Basin. CWGF funds supported MBCA’s Desert Communities Under Siege conference. The Mount Shasta Bioregional Ecology Center is dedicated to protecting the environment and cultural values of Mount Shasta, the Medicine Lake Highlands, and the surrounding bioregion. The grant awarded was used for efforts to halt geothermal development in the Medicine Lake Highlands, an area of great biological diversity and spiritual significance to Native Communities. 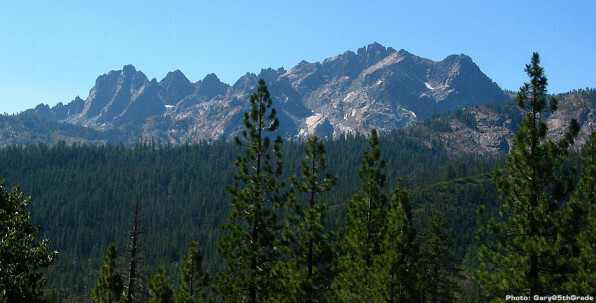 The mission of Mountain Meadows Conservancy (MMC) is to conserve, protect, and enhance the natural beauty and environmental health of the Mountain Meadows Basin and Watershed in Lassen County; to protect its significant Mountain Maidu Indian burial and cultural sites; and to ensure recreation and public access to the Mountain Meadows Basin for future generations. CWGF’s grant allowed the Conservancy to hire traffic and biological experts to comment on a draft environmental impact report for a proposed ski/golf resort. The Northern California Regional Land Trust’s mission is to assist landowners and public agencies in the voluntary protection of land and other natural resources. CWGF’s grant supported the completion of a 4,099-acre agricultural conservation easement on the Llano Seco Rancho. The Llano Seco Rancho is one of the last remaining intact Mexican Land Grant ranches in California totaling 18,434 acres, located Chico, east of the Sacramento River. 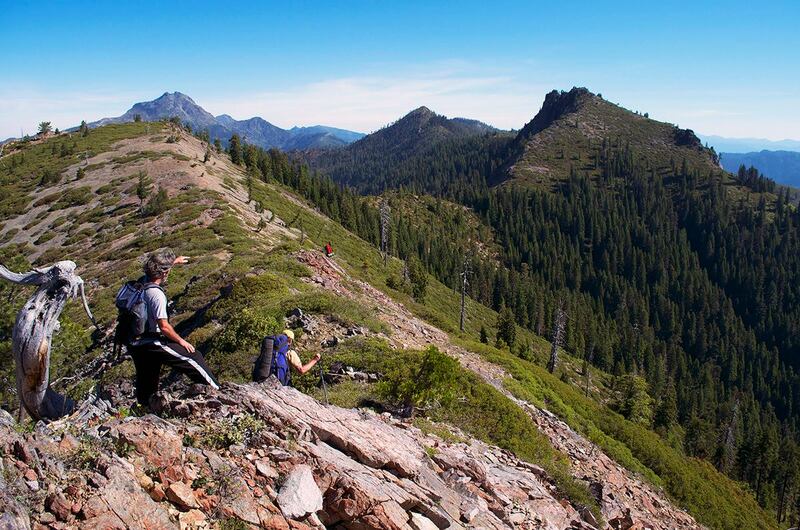 Red Buttes Wilderness Campaign’s mission is to expand Red Buttes Wilderness into the adjacent Kangaroo Roadless area in the Siskiyou, Rogue and Klamath National Forests. The Kangaroo has significant (more than 20,000 acre) portions in both California and Oregon, located about 30 miles south of Grants Pass and 30 miles west of Ashland. Red Buttes Wilderness Campaign received funding for its public education efforts in California and for the creation of a brochure. Santa Clarita Organization for Planning and the Environment (SCOPE) is a volunteer-run organization serving the Santa Clarita Valley in Northern Los Angeles County on issues affecting the quality of life. It is dedicated to protecting the environment and promoting planning policies that are sensitive to the environment. With CWGF support, SCOPE created community education and outreach materials for its Santa Clara River Project. The 32nd Street Canyon Task Force of San Diego is dedicated to the active preservation and restoration of this Canyon’s riparian urban setting. The Task Force received funding support for its restoration work. Tolowa Dunes Stewards, based in Del Norte County, is dedicated to stewardship, science, protection and restoration for the unique coastal biodiversity of the Lake Earl lagoon system and Smith River estuary, including its sacred Tolowa Indian heritage sites and public wildlands known as Tolowa Dunes State Park, Lake Earl Wildlife Area and Point St. George. Tolowa Dunes Stewards used the grant to support efforts to get off-road-vehicles out of fragile dune and coastal habitats. Town Hall Coalition (THC) located in Sebastopol, is dedicated to promoting ecologically and economically healthy communities through responsible land use. It has developed a broad range of action-oriented programs that build public advocacy and involvement, including regularly organizing community educational forums. CWGF’s grant supported the Coalition’s outreach effforts and allowed the Coalition to obtain a Forest Citizen Action Group Coordinator. The Back Country Land Trust preserves open space by acquiring and stewarding natural, scenic, historic, agricultural, and biological resources in San Diego County’s remaining back country wild lands. Funds from CWGF helped build public support and raise funds to acquire more than 200 acres of native grasslands and vernal pools near Alpine . The Butte Environmental Council is championing critical habitat designation for one million acres of vernal pool habitat in Butte, Madera, Merced, Riverside, Sacramento, and Solano Counties. CWGF supported education and outreach efforts aimed at increasing support for this unique form of native wetlands habitat. CNPS promotes appreciation of and protection for California’s native plants and their natural habitats. A grant to the Los Angeles-Santa Monica Mountains Chapter supported efforts to restore native vegetation in Caballero Canyon and Topanga State Park. The mission of Ebbetts Pass Forest Watch is to protect, promote, and restore healthy forests and watersheds while maintaining the quality of life in the Sierra Nevada. CWGF’s grant allowed Ebbets Pass Forest Watch to hire experts to inform their opposition to clear cutting in Calaveras County. The Mount Shasta Bioregional Ecology Center is dedicated to protecting the natural environment and Native cultural values of Mount Shasta, the Medicine Lake Highlands, and the surrounding bioregion. The grant awarded was used for efforts to halt proposed geothermal development in the Medicine Lake Highlands, an area of great biological diversity and spiritual significance to Native Communities. Founded in 1991, Placer Land Trust is dedicated to preserving valuable natural, historic, and agricultural resources in Placer County. CWGF funded studies and analyses to identify restoration needs in Placer’s Giant Gap region to advance the restoration and permanent protection of these lands. Located in San Mateo County, Mountain Watch’s mission is to preserve and protect San Bruno Mountain’s Native American village sites and endangered habitats from further destruction by invasive non-native plants and urban sprawl. Staff used the grant to support their efforts to watchdog the implementation of the U.S. Fish and Wildlife Service’s Habitat Recovery Plan for the area. San Diego Tracking Team (SDTT) promotes the preservation of wildlife habitat in San Diego County through citizen-based wildlife monitoring and environmental education programs. SDTT received funding to increase the number of tracking teams in the county and expand the organization’s training programs. South Fork Trinity River Land Conservancy was established to promote the protection, restoration and preservation of the South Fork Trinity River Watershed. The Conservancy used its grant for outreach efforts and to support a conservation easement program. Formed in 1997 in response to emerging public concern over vineyard development on Sonoma County’s redwood forestland, Town Hall Coalition is dedicated to promoting ecologically and economically healthy communities through responsible land use. THC received a grant for outreach and campaign materials to prevent future conversions of forestland. Ventana Wilderness Alliance is an all-volunteer grass-roots organization dedicated to protecting the wildlands of central California’s northern Santa Lucia Mountains and Big Sur coast. CWGF funds supported restoration of the newly created Willow Creek wilderness addition in Los Padres National Forest. Save Our Acquifer (SOAC) was created to protect the fragile desert ecosystem of San Diego County’s Borrego Valley. With CWGF support, SOAC created educational outreach materials to combat overdraft of Borrego Valley groundwater by encouraging seasonal residents to become water conservation advocates. Visual Journeys creates images and exhibits to help preserve wildlands. Visual Journeys received funding to build a database of photographic imagery of the Santa Clara River watershed and Los Padres National Forest to support organizations’ efforts to defend those areas against destructive developments. The California Wild Heritage Campaign is a broad-based coalition formed to permanently protect California’s unprotected wilderness and wild rivers for future generations. CWHC received funds for its organizing and outreach efforts to stop proposed oil and gas drilling in several proposed wilderness areas in southern California’s Los Padres National Forest. Californians for Western Wilderness (CalUWild) strives to build and give voice to a California-based constituency for wilderness throughout the western United States by facilitating communication between citizens and key decisionmakers. CWGF funds supported outreach efforts, including slide show presentations, tabling at conferences and meetings, and Website enhancement. Citizens for the Chuckwalla Valley opposes the creation of a huge garbage dump next to Joshua Tree National Park. The CWGF grant paid for litigation challenging the federal Bureau of Land Management’s land exchange and granting of two rights-of-way to the corporate proponents of the dump. Desert Protective Council strives to safeguard the Chihuahuan, the Great Basin, and the Mojave deserts through education, outreach and advocacy. The Council received CWGF support for the Algodones Dunes Traveling Photo Exhibit. The exhibit’s goals are to build awareness of the Algodones Dunes and encourage long-term preservation of this biologically diverse landscape at the California-Arizona border, home to many rare, threatened, and endangered species. EPI was created in 2002 to encourage citizen involvement in environmental decisions in coastal central California. EPI received CWGF support for its lawsuit to prevent urbanization of rural and agricultural lands in northern San Luis Obispo County, which are habitat for several endangered species. CWGF funding helped EPI hire legal and technical experts to help lower income residents challenge the proposed land use plans. Faultline Magazine brings Californians accurate and compelling environmental news on subjects ranging from environmental justice to wilderness protection. CWGF funding supported production and travel expenses for the creation of a database of professional-quality photographs for the organizations opposing the large-scale residential development of the Tejon Ranch. Tejon Ranch encompasses 270,000 acres of open space, the convergence of four ecosystems, and dozens of rare and endangered species in southern California’s Tehachapi Mountains. Friends of the Inyo is dedicated to preserving the Eastern Sierra region of California, which includes Mono and Inyo Counties, through public outreach and education, advocacy, and grassroots organizing efforts. CWGF funding supported a mailing to mobilize members and other activists in the region to express support for the proposed Eastern Sierra Wilderness to the region’s member of Congress. Friends of the Santa Clara River work to protect the Santa Clara river watershed in northern Los Angeles County. CWGF’s grant supported research and the production of an informational brochure to educate decision makers and the general public about threats to the river. The Santa Clara River is one of only two natural river systems remaining in Southern California. The Rainbow Ridge Project works to preserve critical old-growth forest and prairies, and to protect and restore surrounding watershed lands in Northern California’s Mattole River’s Lower North Fork basin. CWGF funds supported a land appraisal and fundraising efforts for property and easement purchases. The Salmonid Restoration Federation, promotes stewardship, sustainable management, and restoration of California’s salmon, steelhead, and trout populations and their habitats. CWGF funding supported the Coho Confab, an annual gathering of watershed restorationists that educates participants about local restoration efforts and teaches skills that can be applied to their home watersheds. The Flyway Festival is an annual free weekend event on Mare Island in northern San Francisco Bay that celebrates the San Pablo Baylands. CWGF funds supported a fundraising consultant to develop foundation proposals and a strategy for attracting support for the festival from businesses and private donors. Since its inception in 1996, the family-oriented festival has educated the public about the importance of Bay conservation and offered urban children experiences with wildlife in their natural habitats. Based in Del Norte County, Smith River Alliance’s mission is to establish long-term protection and stewardship of Smith River watershed resources. Natural river flows, protected habitat and a relatively wild fish population make the river a premier stronghold for salmon and steelhead in the state. CWGF provided funding for advocacy for and purchase of wildlands in the Goose Creek watershed, the river’s largest tributary. The mission of the Ventana Wilderness Alliance (VWA) is to protect and restore the wilderness qualities and biodiversity of central California’s northern Santa Lucia Mountains. CWGF funds supported the production of the Ventana Resources Inventory, a comprehensive regional inventory of unprotected wilderness and river areas.